Migraine is a disorder characterised by headache, specifically affecting one side of the head (i.e. unilateral side). Migraine headaches are mostly throbbing or pulsating in nature. Common accompanying symptoms are nausea, vomiting and sensitivity to light and noise. The intensity of a migraine headache may vary from moderate to severe. Homeopathy offers excellent scope for treating migraine. Homeopathic medicines for migraine are reliable and safe. They offer effective treatment for migraine. In fact, they work wonders for acute migraine attacks or even chronic migraine. Homeopathic medicines for migraine are selected as per individual case. Individual symptoms are studied in detail and the appropriated medicine prescribed. Homeopathic medicines identify and attack migraine at the root. Migraines with or without aura respond wonderfully well to Homeopathic medicines. Top ranked Homeopathic medicines for migraine are Belladonna, Glonoinum, Iris Versicolor, Epiphegus and Nux Vomica. Belladonna is one of the best Homeopathic medicines for migraine with intense throbbing, pulsating headache. The person prescribed Belladonna will also feel an extreme fullness in the head. Light seems to worsen the headache. Noise is unbearable. In some cases, exposure to cold air can trigger a migraine episode. In others, a head bath with cold water can bring on migraine headache. Hard pressure over the head is the only way some relief is felt in such cases. Homeopathic medicine Glonoinum is most helpful in treating migraine with excessive congestion in the head. The head feels very large, as if it would burst. In such a migraine attack, patients in pain are seen holding their head in hands. The eyeballs seem protruded. Extreme heaviness in head is felt. Also, heat around the head is unbearable. Uncovering the head relieves the headache. The migraine also gets better with sleep while walking worsens the migraine headache. Apart from congestive headaches, Glonoinum is also the most suitable Homeopathic medicine for migraine headache triggered by sun exposure. Spigelia is a most effective Homeopathic medicine for left-sided migraine. It is indicated when the headache is located over the left temporal region, forehead and eyes. In most cases, the pain begins in occipital region of the head, extends upward and settles over the left eye. The pain is violent, throbbing and pulsating in nature. There is a sensation of a tight band around the head. Stooping seems to worsen the headache. Severe pain in the eyeballs may attend. Eye movement worsens this pain. Sanguinaria Canadensis is a wonderful Homeopathic medicine for right-sided migraine. The pain starts from the back of head i.e. occiput, ascends and settles over the right eye. Lying down quietly in a dark room brings relief. In some cases, sleep may relieve pain. Fasting (going without meals) often triggers a migraine headache in persons prescribed Homeopathic medicine Sanguinaria Canadensis. It is also the medicine to prescribe when the headache starts in the morning, increases during the day and lasts until sunset. Also, Sanguinaria Canadensis is a significant Homeopathic medicine for migraine in women during menopause. Iris Versicolor is a most valuable Homeopathic medicine for migraine when attended with intense nausea, vomiting or acidity. Burning may be noted in any part of alimentary canal. Vomiting of acidic, sour, bitter nature is observed. Bitter, acrid, belching with intense burning behind sternum and in throat is well marked. Acidic stomach reflux leads to headaches. Headache with diarrhoea signals prescription of Iris Versicolor. This medicine is also useful where migraine begins with a blur before the eyes. Nux Vomica is a very effective Homeopathic Remedies for migraine with gastric troubles. Migraine due to indigestion, flatulence, constipation and piles shows great recovery with use of Homeopathic medicine Nux Vomica. Nux Vomica also helps where migraine headache gets worse after taking coffee, spicy food and alcoholic drinks. The headache may be located in any part of the head. The person feels the need to press the head against something hard for relief. Other than Glonoinum, another Homeopathic medicine that shows quick and effective results in migraine headache from sun exposure is Natrum Carbonicum. Vertigo appears along with headache from sun exposure in such cases. The pressive headache is accompanied by cloudiness of eyes. Heat in the head and congestion may be felt. Shooting pain in the forehead also suggests use of Natrum Carbonicum. Homeopathic medicine Natrum Muriaticum is the best prescription for migraine attacks that worsen around the menstrual cycle. The headache may be triggered before, during or at the close of menstrual cycle. Another unique symptom is migraine headache that starts with sunrise, continues through the day and vanishes after sunset. This is popularly known as the “sunrise to sunset headache”. Also, in cases where the migraine headache feels like little hammers knocking on the brain, Natrum Muriaticum will help. Natrum Muriaticum is also the most suitable prescription for migraine headaches in school girls or in girls who are anaemic. It is also considered the best medicine where numbness or tingling is felt in the nose, tongue or lips before the migraine attack. Sepia is the most suitable Homeopathic medicine for migraine attacks in women around menopause. In such cases, terrible headaches accompany menopause. The headache gets worse indoors, open air brings relief. Nausea and vomiting may attend migraine headaches. Lying on the painful side of head affords relief. The top of the head may feel cool in such cases. In general, hot flushes, sometimes along with sweat, are well marked. In case of a migraine attack triggered by stress, Homeopathic medicine Kali Phos proves extremely useful. The unique indication for use of Kali Phos is that stress, tensions and worry lead to migraine headaches. Such migraine headaches are common among students who suffer school or college related stress. Exhaustion and weakness usually accompany migraine in such cases. Epiphegus is a valuable Homeopathic medicine for treating migraine where exhaustion – mental or physical, sets off the migraine episode. It is used where the slightest deviation from routine work brings on a migraine attack. Although it works for both sided migraine, yet comparatively better results are seen in left-sided headaches with Epiphegus. A peculiar attending symptom is increased saliva with constant inclination to spit. Homeopathic medicine Cyclamen is majorly indicated for migraine attacks that begin with flickering, fiery sparks before the eyes or dim vision. These visual symptoms that precede the migraine headache are referred to as aura. Cyclamen is also useful where migraine headache starts on rising in the morning. Shooting pain is experienced in the temporal region. Vertigo, especially when standing, may accompany the headache. I get pulsating, throbbing headaches, which Homeopathic medicines would you recommend? For throbbing, pulsating migraine headaches, Homeopathic medicine Belladonna shows best results. Belladonna works well for migraine headaches in any part of the head. It proves useful even when light or noise worsen the pain. Tightly binding the head or applying pressure relieves the headache. Congestion in the head is often felt in such cases. I can feel the blood rush to my head when I get a migraine headache, what would you advise? In congestive headaches, I have seen magnificent results with Homeopathic medicine Glonoinum. In such cases, a person feels like all the blood is rushing to his head. The head feels really large, as if it would burst. Glonoinum aids quick recovery in such migraine attacks. My migraine headaches are more to the left side of the head. Are there any specific Homeopathic medicines for that? There are a wide range of Homeopathic medicines for migraine headache of left side. In my clinical practice, I have found Spigelia to be the most effective among them. Spigelia works most effectively when the headache is located over the entire left side. It work wonders in cases where migraine starts in the back of the head, rises upwards to spread to the entire left side of the head and finally settles over the left eye. My migraine headaches cover the right side of the head. Which Homeopathic medicines can I take? Homeopathy draws on a huge list of medicines for right-sided migraine attacks. Of this huge bulk of Homeopathic medicines, Sanguinaria Canadensis is rated among the best. Sanguinaria Canadensis offers great relief in migraine headache that covers the right side of head. The guiding symptom for use of Homeopathic medicine Sanguinaria Canadensis is pain in the back of head (occiput), ascending and spreading to the right region of the head and finally, settling over the right eye. I tend to have a migraine headache every time there are gastric issues. Which Homeopathic medicines can cure this condition? For treating migraine with gastric complaints, I would advise two major Homeopathic medicines – Iris Versicolor and Nux Vomica. Where the migraine headache is accompanied by intense nausea, vomiting or acidity, I would recommend Iris Versicolor. If constipation or flatulence are present along with the headache, I suggest you take Nux Vomica. Both these medicines have shown excellent results in many of my migraine patients with corresponding symptoms. I get sun headaches. Does Homeopathy have a solution for me? Sun exposure, too, can trigger migraine. 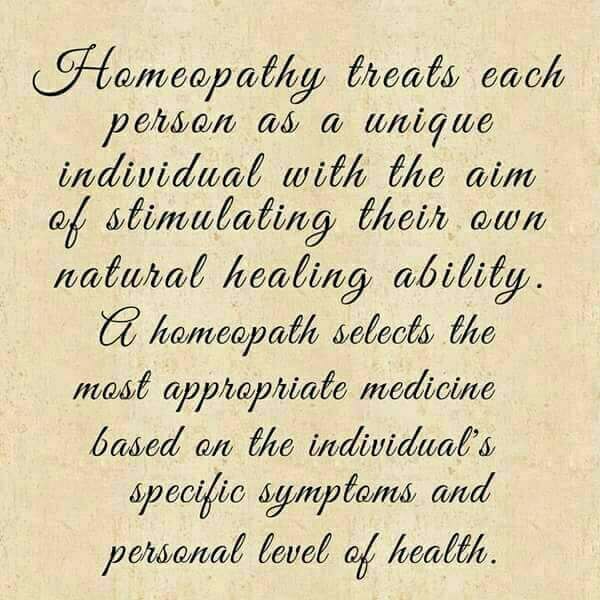 In such cases, Homeopathic medicines Glonoinum and Natrum Carbonicum are the best prescriptions. Glonoinum is best prescribed where the headache from sun exposure is of congestive type or throbbing in nature. Pressure may offer some relief. Homeopathic medicine Natrum Carbonicum is effective where sun exposure leads to shooting or pressing pain in the head. The attending symptoms are vertigo, cloudiness before eyes or sometimes nausea. My migraine attacks worsen around the menstrual cycle. Can Homeopathic medicines help? Homeopathic medicine Natrum Muriaticum offers great help in migraine headache that worsens during menses. Natrum Muriaticum can be taken by a woman with migraine attack just before her menses, during menses or just at the end of menses. I’m of menopausal age and get severe migraine attacks. Which Homeopathic medicines for headache of such kind can bring me relief? Homeopathic medicines that are effective for migraine in women around menopause include Sepia and Sanguinaria Canadensis. Sepia may be taken when hot flushes accompany migraine attacks. In such cases, the person may feel worse in a room while open air brings relief. Homeopathic medicine Sanguinaria Canadensis is also helpful where periodicity of the migraine headache is marked. A woman who needs Sanguinaria Canadensis gets a migraine attack every seven days. Lying quietly in a dark room brings relief. My migraine headache gets worse when I’m stressed. Is there a Homeopathic medicine for headacahe that can help? Yes, definitely. Homeopathy can help get rid of stress related to migraine. Kali Phos is a Homeopathic medicine that is most useful for migraine headache of this type. Worry and stress can trigger migraine headaches which respond wonderfully well to Homeopathic medicine Kali Phos. I get a migraine attack every time I’m exhausted, whether physically or mentally. Which Homeopathic medicine should I take? I have seen many patients visit my clinic for such migraines triggered by mental or physical exhaustion. In such cases, Homeopathic medicine Epiphegus shows remarkable results. Therefore, I would advise Epiphegus for your condition. Epiphegus is also indicated when a person gets a migraine headache even when he deviates slightly from routine work. What are the best Homeopathic medicines for migraine with aura? Cyclamen and Natrum Muriaticum are the Homeopathic medicines to prescribe for migraine with aura. Cyclamen is a very effective Homeopathic medicine for migraine which is preceded with flickering before eyes or dim vision. Natrum Mur may be taken when aura is blindness or zigzag dazzling lines before the eyes. Natrum Mur is also helpful when the aura is numbness or tingling in the nose, tongue or lips arising before the migraine attack.